After Italy failed to qualify for the 2018 FIFA World Cup Russia for the first time in over 60 years, Italian maestro and 2006 FIFA World Cup winner Andrea Pirlo has teamed up with McDelivery® from Uber Eats to find an alternative nation to support this summer. 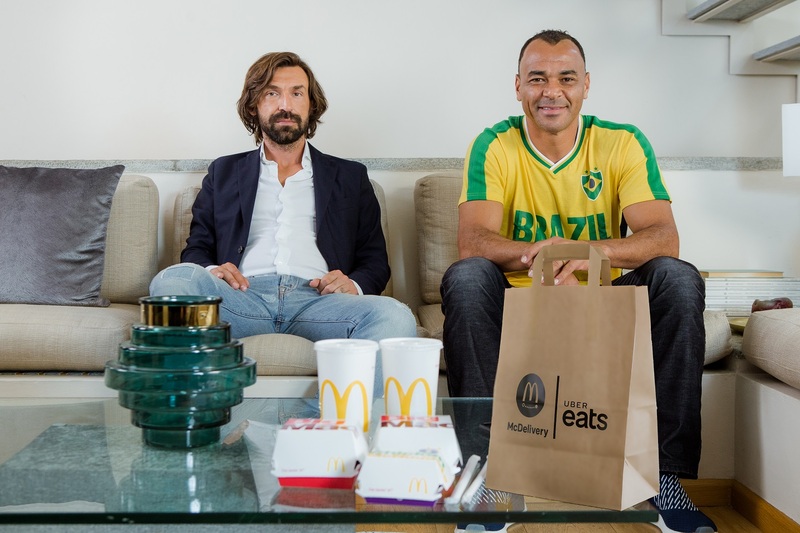 McDelivery from Uber Eats have enlisted the support of eight football icons from around the globe to help find a #TeamForPirlo, as Andrea Pirlo gets ready to enjoy the tournament from the sidelines for the first time in sixteen years. The all-star line-up includes FIFA World Cup winners Cafu (Brazil) and Marcel Desailly (France), alongside international legends Luis Hernandez and Jared Borgetti (Mexico), Harry Kewell (Australia), Rui Patricio (Portugal), Mashahiro Fukuda (Japan) and Alexandre Guimarães (Costa Rica). The players have been pitching for Pirlo’s support ahead of the 2018 FIFA World Cup group games which kick off in Russia later this week. The #TeamForPirlo search got off to the worst possible start when Andrea stormed off set when asked by a hapless reporter whether he’s looking forward to playing at the 2018 FIFA World Cup. Watch the video on YouTube here. Andrea Pirlo said: “For the first time I can remember, I was not looking forward to the FIFA World Cup this year. I thought ‘No Italy, no party’ but there is still a summer full of football for me to enjoy as a fan at home with McDelivery from Uber Eats.